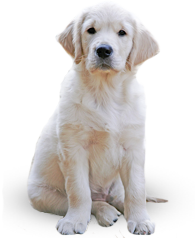 At Best Friend Fence, we carry a variety of accessories that you can use to improve your dog fence. 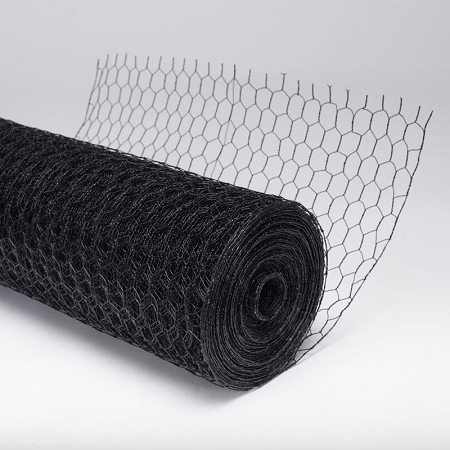 From chew guard barriers that offer extra protection to nylon tension cable that can improve the strength of your fence, all of our accessories are easy to use and a great addition to your fencing system. 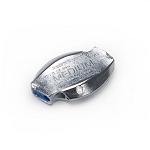 Available from 4'h up to 7.5'h Includes post, sleeve & cap. 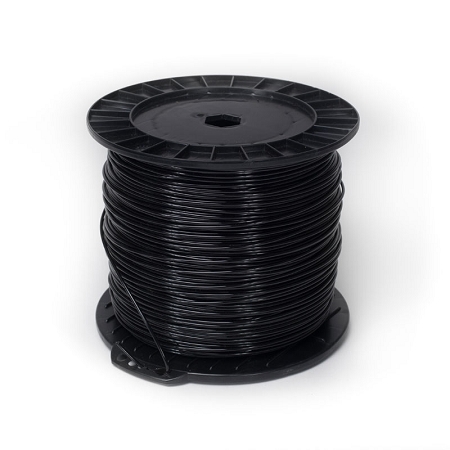 UV-treated black heavy duty zip ties. 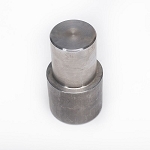 Available in 8" or 14"
Corner post brace kits help secure and stabilize any post. 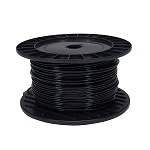 Recommended when using reinforcement cable. Best Friend Fence carries two different post systems for your new fence, along with many accessories to make installation simple and customizable. If you are enclosing a large area, have multiple dogs or larger pets, out heavy duty post kits are the perfect choice. These are the same posts included in all of our fencing kits. 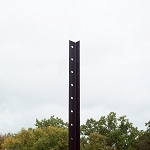 This two piece post system is quick and easy to install, and requires no special tools or equipment. 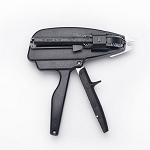 First you insert the driving cap into the top of a ground sleeve and then fully drive the sleeve into the ground with a sledgehammer or similar tool. Next, remove the driving cap and insert the post in to the installed sleeve. Continue this process for the rest of your posts, spacing them 15’ apart. Have smaller pets and don’t think you need such a heavy duty post system? 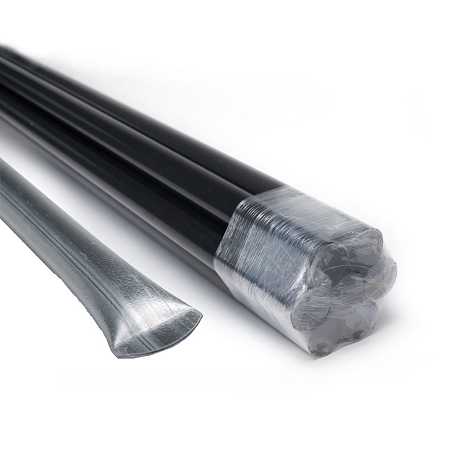 Our lightweight Best Friend Fence posts are the perfect alternative. 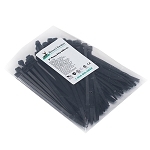 These quality, black powder coated, angle iron posts simply push directly into the ground and should be spaced 10’ apart. 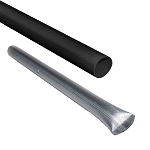 After installing your posts, attach your Benner’s fencing to the posts using our black UV-treated heavy zip ties. 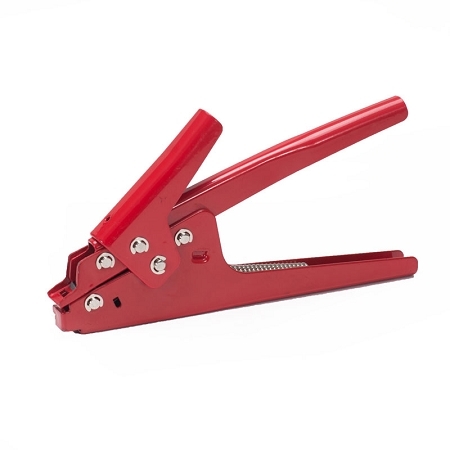 If you are installing a lot of fencing, check out our zip tie tightener/cutter tool. 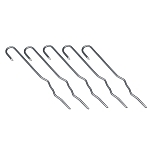 This tool allows you to tighten the tie and clip the end off in one simple motion, making the process of attaching the fencing to your posts faster and easier. 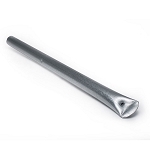 Next, secure the bottom of your fencing to the ground, using our 12” kinked ground stakes to ensure your pets cannot push themselves underneath the fence line. Ground stakes should be spaced 3’-4’ apart. If your pet is prone to chewing or digging, we recommend installing the 2’ or 3’ high chew guard barrier along the bottom of the fencing system. 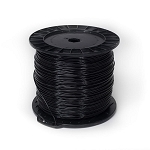 Attach this strong, pvc-coated black hex wire fencing directly to the polypropylene fencing using zip ties or hogrings. If you have a very active pet who may be tempted to jump on the fencing, installing our Nylon Tension Cable system will help prevent damage and stress to the fencing. This tensioning system is installed along the top of your fence line, using gripples and it will add durability and strength, prevent sagging between posts, and will keep fencing straight and taught. 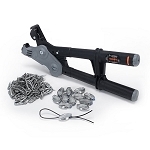 Benner’s Best Friend Fence stocks all the necessary tools for installing the cable including gripples, gripple tool, hogrings and the hogringer tool.